$10 minimum donation for adults and $5 for students. Anyone age 10 or under is free. 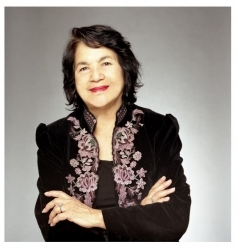 All proceeds will benefit the Dolores Huerta Foundation. 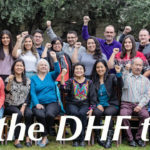 The Romero Institute, Resource Center for Nonviolence, Barrios Unidos and Inner Light Ministries gather the community in a celebration of Dolores Huerta’s 85 Years of Life. This musical organizing event will inspire collaboration and dialogue, as well as ignite the flame for a new generation of activists and organizers. 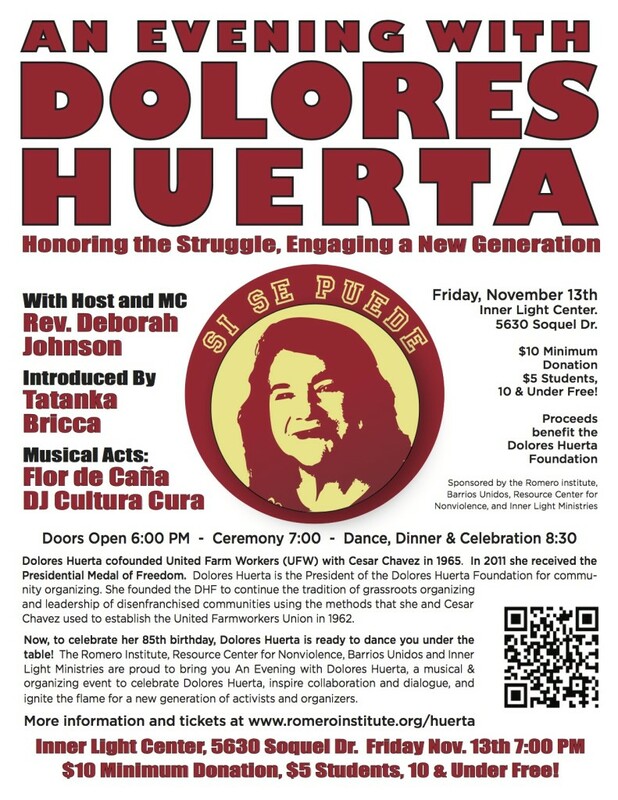 Music will be provided by Flor de Caña and DJ Cultura Cura. Online ticket sales have closed, but there are plenty of tickets available at the door. We hope you will join us!